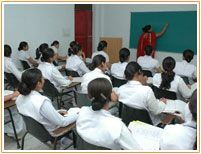 The Indian Medical Institute of Nursing was established with a mission to impart the education in the field of para medical sciences. The aim was the overall better devel opment of the individuals and hence for welfare of the society. 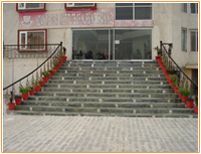 The Institute is PIONEER IN QUALITY EDUCATION, with excellent infrastructure and VALUE BASED EDUCATION. The college has supecb academic performance. The student are encouraged to develop their talents through extra curricular activities and sports. The Institute has a huge 7 storey building at the outskirts of city which has the pollution free environment, lush green lawns,with all the modern amenities. The Institute has well equipped classrooms with audio visual systems. Well equipped & maintained labs with all the modern amenities. Hostel with mess which caters the needs for hygeinic food. 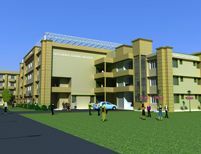 Canteen, Recreational room, Adm Block, all this having a total area of 2 acres & 4 canals, and covered area of 94,000 sq ft along with the open area & playgrounds.